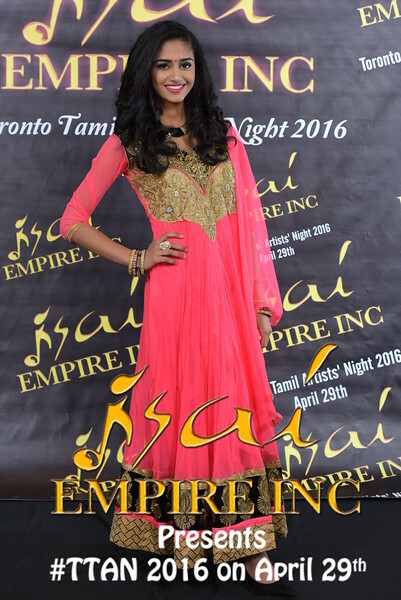 Isai Empire Inc Singers of Toronto Tamil Artists' Night 2016! For the first time, a show primarily for our Toronto artists! Isai Empire Inc has put together Toronto Tamil Artists' Night 2016 primarily to showcase, promote, and motivate our Toronto singers, musicians, dancers, and hosts. Often, Toronto shows consist of international artists featuring Toronto artists; however, this show will consist of our Toronto artists featuring international artists from Europe, India, and Sri Lanka. Support our talents by liking and sharing Isai Empire Inc's facebook page, and RSVP-ing "attending" on Toronto Tamil Artists' Night 2016's event page. கலைஇரவு எதிர்வரும் சித்திரை மாதம் 29ம் திகதி MARAKHAM EVENT CENTER. மேலதிக தொடர்புகளுக்கு 416- 843 - 4867. ISAIEMPIREINC@ GMAIL. COM.